Beryl has prismatic crystals that may be transparent and pyramidal. This stone occurs as hexagonal crystals composed of beryllium aluminium silicate. Beryl teaches you how to do only that which you need to do in that time and place. It is the perfect stone for dealing with a stressful life and giving you the ability to shed unwanted emotional baggage. It helps you receive guidance regarding the next step in you life path. Beryl helps you realise your potential. It is often used as crystal balls. This stone opens and activates the Crown Chakra and Solar Plexus Chakra. 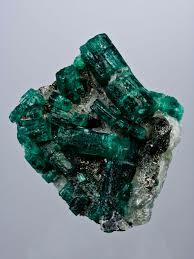 Beryl enhances courage, relieves stress and calms the mind. With Beryl's ability to filter out distractions and reduce over-stimulation it encourages a positive view of the world. It reduces the need to over analyse things and helps you to not be overcome by anxiety. Beryl reawakens love for your self and your partner. Beryl aids the organs of elimination. Strengthens the pulmonary and circulatory systems. It increases resistance to toxins and pollutants. It treats the liver, heart, stomach and spine. It also aids concussion. 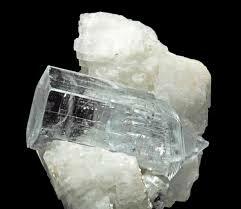 Beryl crystal water will help throat infections if gargled. Aquamarine (from Latin: aqua marina, "water of the sea") is so named because of its seawater colour. It is a pale to medium blue, blue-green variety of beryl, probably the most common colour for gem quality beryl. It harmonises its surroundings and protects against pollutants. 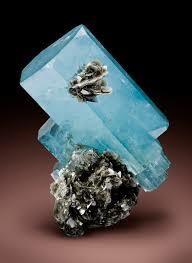 Aquamarine primarily channels water energy. It is particularly good for its ability to give you courage. Those who travel on or over water should consider keeping one at all times for protection against psychic and physical harm. Those who travel over land could also benefit from having this crystal, as it helps you stabilise yourself when in unfamiliar surroundings and when being bombarded by unfamiliar energies. This crystal will soothe, uplift and open the heart chakra and also help you connect with your core self in order to regenerate a sense of purpose. When used on the throat chakra, aquamarine clears blocked communication and helps you with verbal expression. Aquamarine shields the aura and aligns the chakras, clearing the throat chakra and bringing communication from higher planes. Aquamarine will strengthen the immune system, thymus and lymph nodes, It is also good for ADD/ADHD sufferers who need help fine tuning their ability to concentrate and block out distractions. This stone can be used to strengthen the taste buds, lungs, throat, nose, mouth and ears. It strengthens the bodies cleansing organs and aids the eyes, jaw, teeth and stomach. Aquamarine allows for better breathing with allergies. This is a great crystal when you are convalescing from a prolonged malady, injury or illness. Aquamarine harmonises the pituitary and thyroid glands and regulates hormones and growth. Aquamarine has a general tonic effect. This stone is useful for counteracting short and long sightedness in eyes. It calms an overactive immune system. This stone calms the mind, removing extraneous thought. It filters information reaching the brain and clarifies perception, sharpens the intellect, and clears up confusion. With its ability to bring unfinished business to a conclusion, aquamarine is useful for closure on all levels. It clears blocked communication and promotes self expression. This stone is helpful in understanding underlying emotional states and interpreting how you feel. It soothes fears and increases sensitivity. Aquamarine increases creativity and sharpens your intuition. Aquamarine has an affinity with highly sensitive people. It has the power to invoke tolerance of others. This stone overcomes judgemental-ism, gives support to anyone who is overwhelmed by responsibility, and encourages taking responsibility for yourself. It creates a personality that is upright, persistent and dynamic. Aquamarine can break old self defeating programming. Aquamarine quietens the mind preparing you for meditation and it will help reduce stress. In ancient times Aquamarine was believed to counteract the forces of darkness and procure favour from the spirits of light. This stone was carried by sailors as a talisman against drowning. Aquamarine sharpens intuition and opens clairvoyance. A wonderful stone for meditation, aquamarine invokes high states of consciousness and spiritual awareness and encourages service to humanity. Aquamarine fills the Hara Line with healing light that reaches the Kundalini via the thymus. It provides intense physical, emotional and karmic release and supports you through the process. This stone helps you achieve a life path of service. Aquamarine will remind you of the love and caring that the Goddess provides in times of change. Aquamarine helps you communicate with your spirit guides and angels. Spiritually aquamarine heals deeply on all levels. 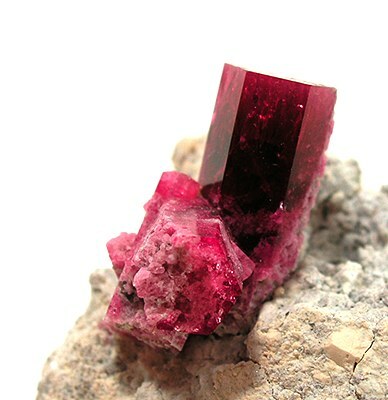 Bixbite or Red beryl is also known as "red emerald", "scarlet emerald". Bixbite opens and energises the Base Chakra. It is a creative and powerful stone that promotes courage, passion and will power without egotism. Bixbite encourages respect for others. Bixbite stimulates the Base Chakra and links it to the heart, grounding you in a compassionate life and releasing conflict and ancient wounds. Its fiery red colour comes from manganese, which is required for cell reproduction. It controls the fatty acids which aids in the formation of new blood cells. Bixbite promotes self healing and cell repair. It is supportive during convalescence. Bixbite increases vitality and stamina. It assists the reproductive organs, liver, blood, teeth, bones and the metabolic enzyme processes. The name emerald derives from Greek "smaragdos" - green stone. It is the most precious stone in the beryl group. Its green is incomparable, and is therefore called "emerald green". The emerald is often clouded by inclusions, they are not classified as faults but show the difference between natural and created stones. Emerald is a symbol of love and good fortune. It can promote prosperity, abundance, growth, peace, harmony, patience, love, fidelity and honesty. It is used against negative energy and when used for scrying, it can be helpful for divination. If you use Emerald on the heart chakra, it can help you to get in touch with the innermost self and innermost desires. Emerald provides inspiration and helps those in need of balance, healing and patience. It can also ease the effects of depression and helps with insomnia and other sleep afflictions. When worn directly on the skin, you can achieve physical, emotional and mental equilibrium. Though very effective when used alone, emeralds also respond well to being used in conjunction with diamonds. This crystal must be cleansed and recharged after each use. Emerald brings unity, unconditional love, partnership and promotes friendship. This stone ensures physical, emotional and mental equilibrium. It eliminates negativity from your life and brings in the positive. Emerald focuses your intentions, raises your consciousness and brings about positive actions. It enhances psychic abilities and helps with clairvoyance. ​Traditionally, Emerald is used to protect from enchantment and the ploys of magicians and to foretell the future. Emerald gives you strength of character to overcome the misfortunes of life. It is a stone of regeneration, recovery and will heal negative emotions. It is helpful in cases of claustrophobia. Emerald gives you mental clarity and strengthens the memory. It is a stone of wisdom, truth, understanding and cooperation. Goshenite is a colourless variety of beryl, named after locality in Goshen, Massachusetts (USA). Goshenite is used as imitation for diamond and emerald by applying silver or green metal foil to the cut stone. Goshenite enhances your ability to see and clear old patterns and pain, it supports karmic healing, promotes visions of past live trauma so that it can be released and healed. It will ease your fear of seeing and re-experiencing these traumas. Goshenite will help you understand old life patterns that are still affecting your life and it will help heal and clear them. Goshenite clears and activates the crown chakra, opening the portals of Spirit. It stimulates the mental centres and enhances one’s thinking abilities. It is particularly stimulating to mathematical intelligence. Goshenite is a stone of persistence, helping one retain the focus and determination to see things through to completion. 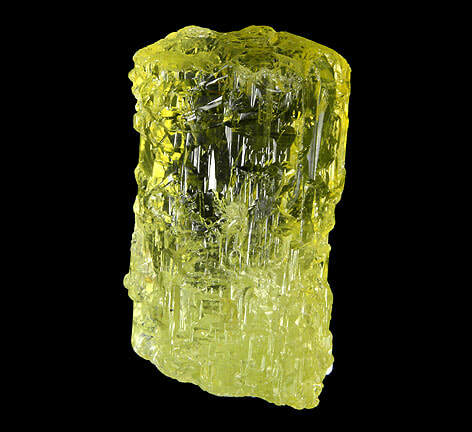 ​Heliodor and Golden Beryl are the names given to the yellow variety of Beryl. Many modern sources regard the two names as synonymous, although some sources state that the name Heliodor should be reserved for the greenish-yellow beryl only, with the more golden coloured varieties being listed as Golden Beryl. 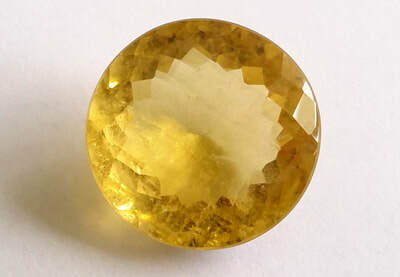 Golden Beryl is a seer's stone and is used for ritual magic. It helps scrying and magical workings. This crystal promotes purity of being. It teaches initiative and independence and stimulates the will to succeed and the ability to manifest potential into reality. It opens the Crown and Solar Plexus Chakras. Golden Beryl soothes you after long term healing and emotional release work, It calms and aligns the emotional body. It will help you in balancing sustained changes and energy expansions. Golden beryl heals your astral body twin and brings it into the physical aura. This stone supports weary old souls through Earth changes. It will ease healers burnout. Golden beryl supports women going through the menopause process. Morganite or Pink Beryl attracts love and keeps it enduring. It encourages loving thoughts and actions which then create space for you to enjoy your life and living. 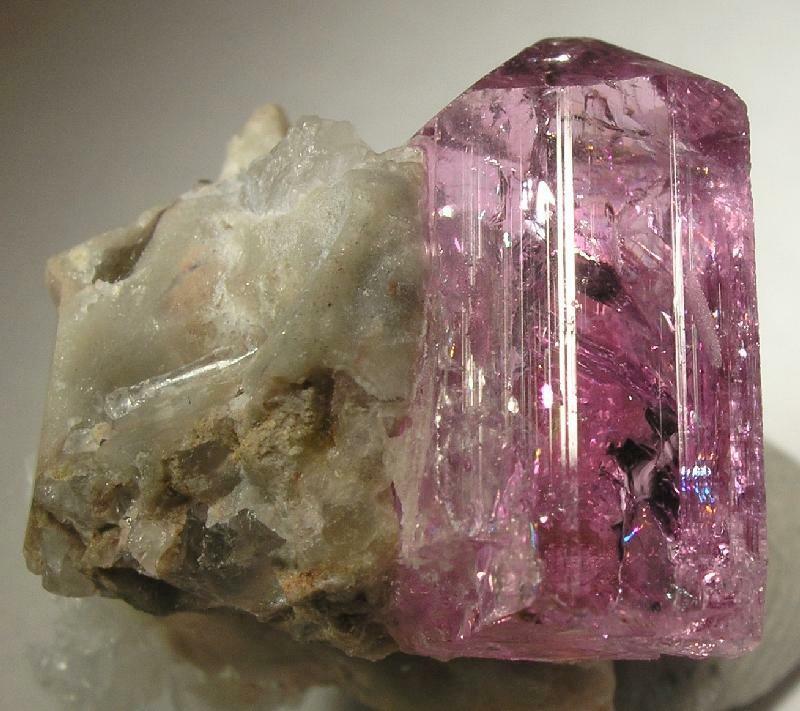 As a pink stone it activates and cleanses the Heart Chakra. It calms a stressful life and benefits the nervous system. Morganite helps you to recognise the escape routes that you need. It removes closed minds and egotism which can block spiritual growth. It assists in helping you become aware of your ignored needs of the soul. Morganite also helps you to recognise unfulfilled emotional needs and unexpected feelings with which you can't cope. Morganite helps dissolve both conscious and unconscious resistance to healing,it helps clear the victim mentality and opens the heart to receive unconditional love and healing. It holds the emotional body stable while emotional changes enter your life. Morganite helps with stress and all stress related illnesses. It oxygenates the cells and repairs them. It has been known to treat tuberculosis, asthma, emphysema. heart problems, vertigo, impotence and lung blockages. Morganite is named after the American banker and collector J.P Morgan. Morganite, also known as "pink beryl", "rose beryl" or "pink emerald".